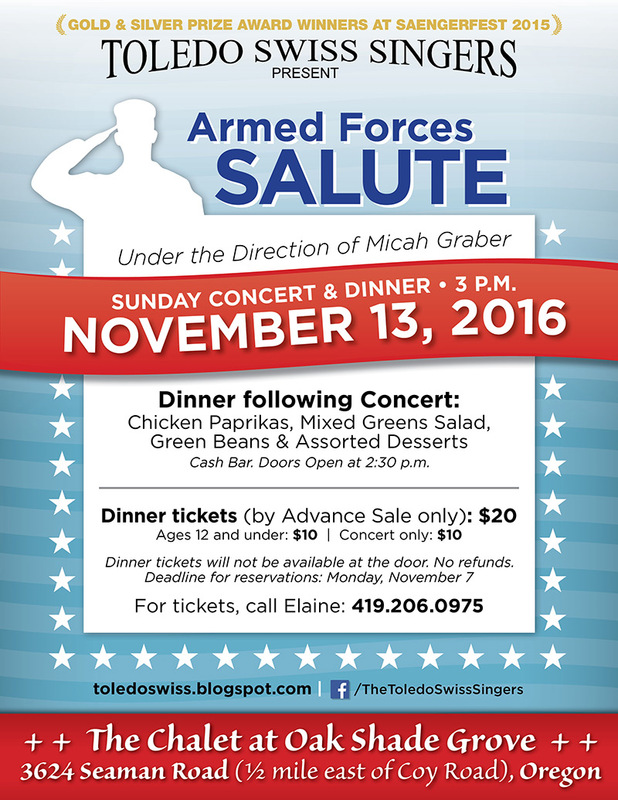 The Toledo Swiss Singers, one of the area’s oldest singing groups, will open the 2016-2017 season at their fall concert Nov. 13 with a tribute to the men and women, past and present, who serve America. 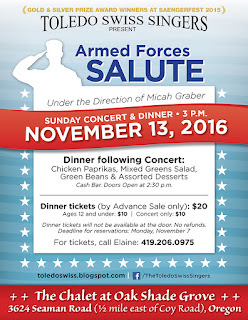 The concert, titled “Armed Forces Salute,” will feature patriotic songs, along with traditional Swiss songs. The special Sunday afternoon concert begins at 3 p.m. with a chicken paprikas dinner served following the performance at The Chalet at Oak Shade Grove, 3624 Seaman Road in Oregon. Concert and Dinner tickets are $20, with $10 tickets for children 12 and under. The deadline for reservations is Monday, Nov. 7, with only concert tickets available at the door. 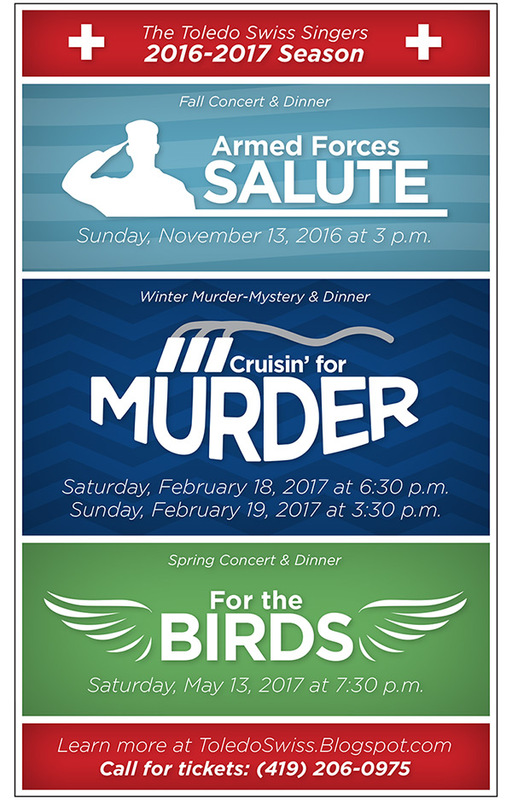 For tickets, call Elaine at (419) 206-0975. 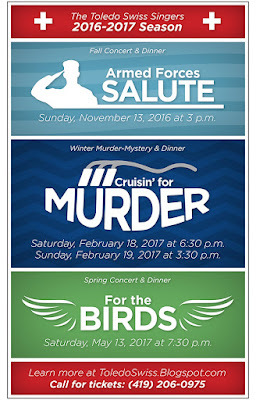 For the 2016-2017 season, the Singers will present “Cruisin’ for Murder,” their third annual dinner-theatre mystery event, on Saturday, Feb. 18 and Sunday, Feb. 19. The group will close the season with its spring concert, “For the Birds,” on Saturday, May 13.